Ram held the announcement the extreme version for pickup 1500 TRX. The all-terrain vehicle is expected closer by 2022. The architecture in the commodity version of the pickup will be the concept Rebel TRX, which was shown 2 years ago. 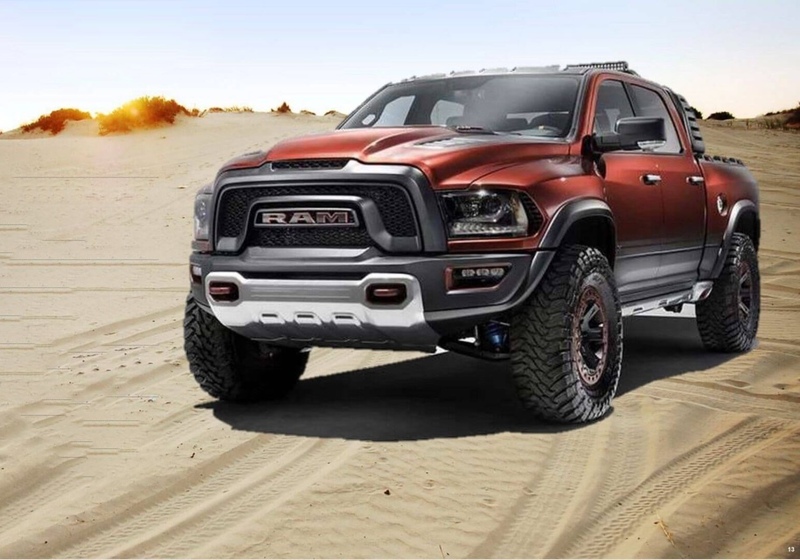 The most powerful pickup in the history of Ram will compete with the Ford F-150 Raptor. The car received a 6.2-liter compressor V8 named Hellcat. A similar motor is present in the Jeep Grand Cherokee Trackhawk, where it develops 717 hp. and 875 Nm. Similar to the prototype Rebel TRX, the new 1500 TRX take a special exhaust system, a reinforced suspension, brakes and an off-road body kit in aggressive form.